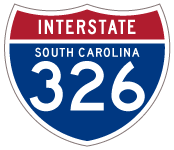 I-326 on the 1980 South Carolina Official Highway Map. S.C. 77 shields appeared on the two other portions of eventual Interstate 77. 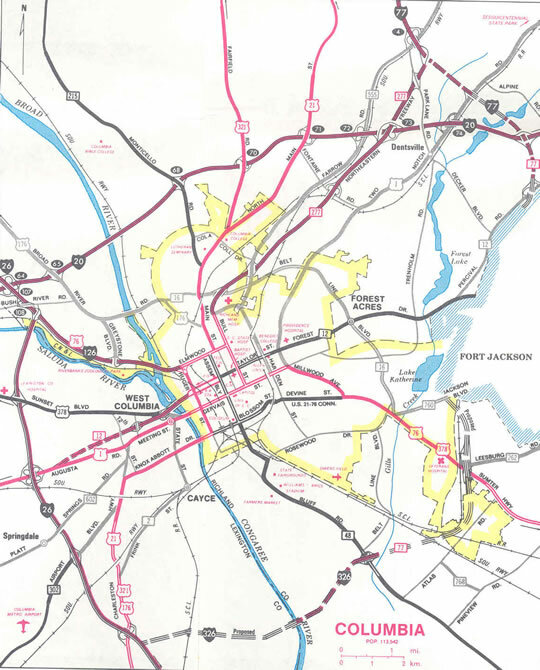 For SCDOT’s Centennial, enjoy a “photo-a-day” from SCDOT’s photo files. #SCDOT #SCDOT100 #SCDOTcentennial #SCDOTphotoaday The Department of Highways and Public Transportation was represented in the inaugural parade for Gov. Richard W. Riley on Jan. 10, 1979. [Facebook update]. Retrieved from https://www.facebook.com/SCDOT/photos/a.1527282967543114/2034568800147859/?type=3&theater. Page updated January 25, 2019.